Pour hot boiling water over shrimp and peel off shell. Add the curry powder and continue to fry for two minutes. Add the tomatoes, sweet peppers, salt, pepper and other seasonings. Bring to a boil then reduce. 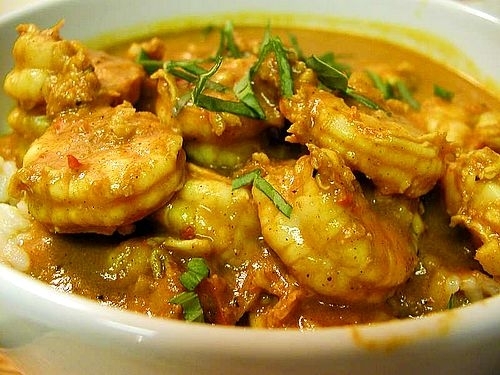 Heat and simmer for 10 minutes or until shrimp is cooked. Served with rice and garnish with vegitables.